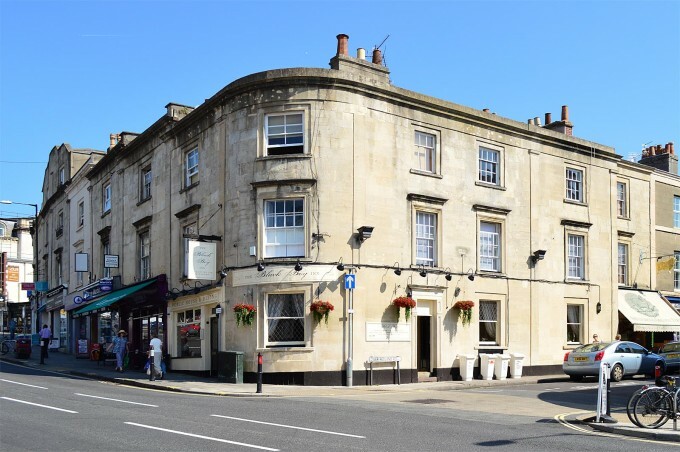 Despite its handy location situated between the affluent residences of Clifton and party-going student houses of Redland, Whiteladies Road has always proved to be a bit of a hit and miss in terms of bars and restaurants. Despite the success of The Cowshed, and the popular run of businesses opposite it such as The Burger Joint, Bar Humbug and The Townhouse, many parts of this road just feel a bit odd and surprisingly quiet. The section towards the Triangle in particular has seen quite a lot of businesses come and go in the past few years, with Gas & Co and Be.in Bristol the latest ventures to close just a few weeks ago. 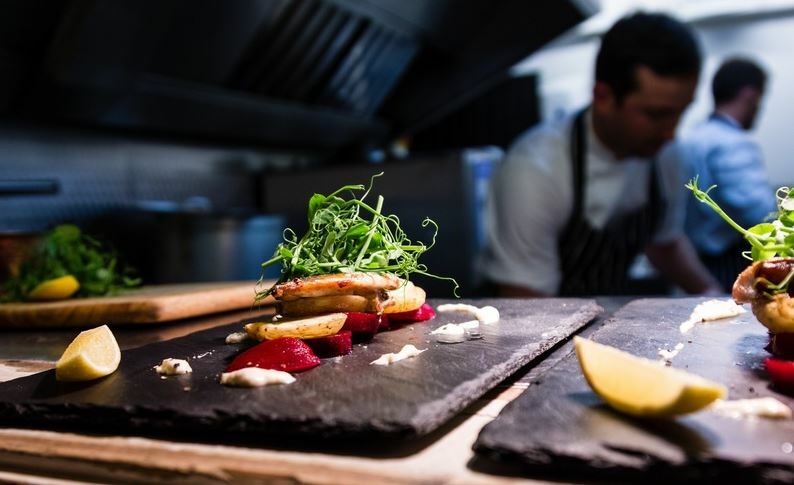 Food at The Blackboy Inn – most sophisticated. A tiny pub about half way up from Clifton Down station, a lot of the space here has been given over to the dining room, leaving only a small area at the front to loiter with your drinks. The pub has been nicely decked out and decorated with a sophisticated traditional feel, and the drinks selection looked decent when we popped in, but sadly the lack of space meant we didn’t dwell too long – one to stop in to on a quiet afternoon or for a bite to eat instead perhaps. 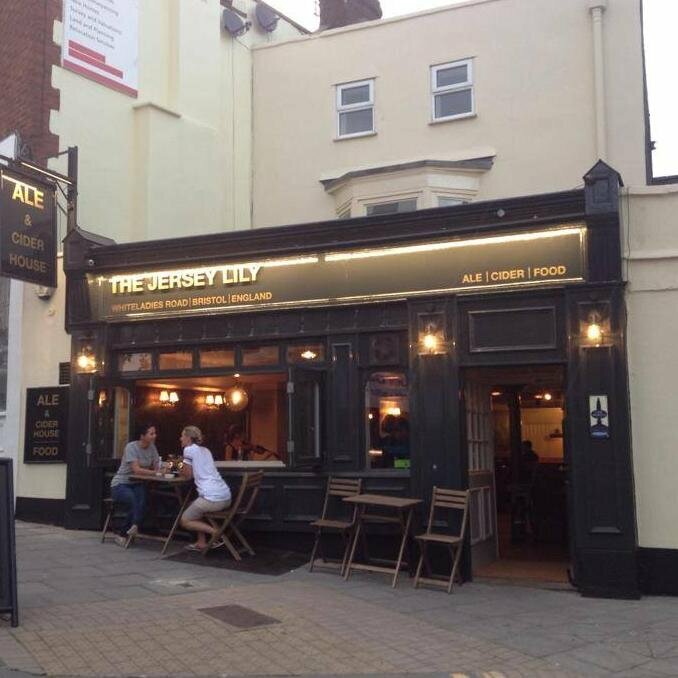 A slightly bigger pub and not too long into its new look (the pub was refurbed in summer of 2014), Jersey Lily is owned by Wickwar Brewery and so has a good selection of ales and ciders on at all times, with the drinks and food menu both being good value. The pub is cosy and welcoming, and was a great place for us to grab a booth and get ourselves sufficiently hydrated before traipsing further up the hill. A great proper pub which feels like a bit of a hidden gem, tucked down an allyeyway behind Whitealadies Road a mere hop, skip and a jump from our previous pub. The interior is large, traditional and basic and there’s a decent amount of seating out front for sunnier days. The menu is as homely as the pub itself, with sandwiches, jacket potatoes and other pub favourites. I’ve heard that The Red Lion a few doors away is a similarly chilled local pub. A complete change of pub for our next stop off – The Kings Arms is a huge sprawling pub towards the top of Whiteladies Road, split across several levels, multiple rooms and full of quirky corners. As you’d expect, there’s plenty of room to find a seat, and the interior is quirky enough to mean that the pub still has character despite its size. Check out their terrace if the weather is decent, and their menu looks well worth a look too. Oh, and their dogs are local celebrities too – they even have their own blog! One of the upstairs levels at The Kings Arms – snazzy. On to our final stop, and my favourite of the night. Another tiny pub, by this point our numbers had reached over 20 so it was a bit of a tight squeeze. There was an Irish session going on when we arrived, so we walked in to a fun and welcoming atmosphere. The drinks selection is mainly real ales and traditional ciders (I made the misguided choice of Thatchers Cheddar Valley – always a rough one, especially at the tail end of a pubcrawl), but this really is my kind of pub – compact, friendly and cosy, lush. Having reached the end of our quest, our group split out between the quirky cocktail joint Her Majesty’s Secret Service, with the rest decamping to The Woods for pitchers of beer and ill-advised amounts of whisky. 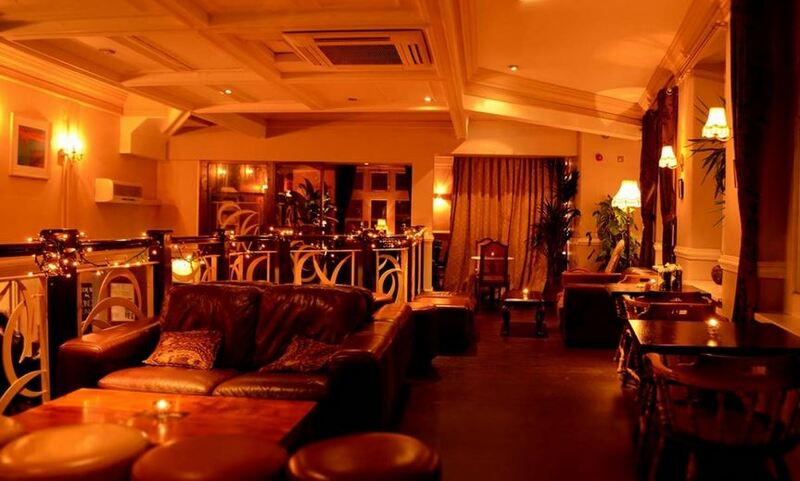 If you’re in a smaller group I’d definitely recommend paying a visit to Haus Bar opposite the downs – it’s the original and arguably best cocktail bar in town. 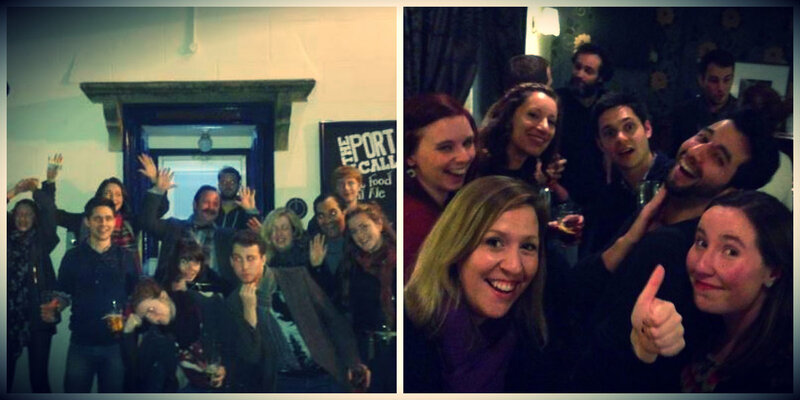 The pubcrawl gang – happy faces!